The witching season is upon us and no one does it better than Diane Lewis. We had this spooktactular card from her, DD and Duff waiting for us when we got home from our trip. Thanks, Diane from all of us. 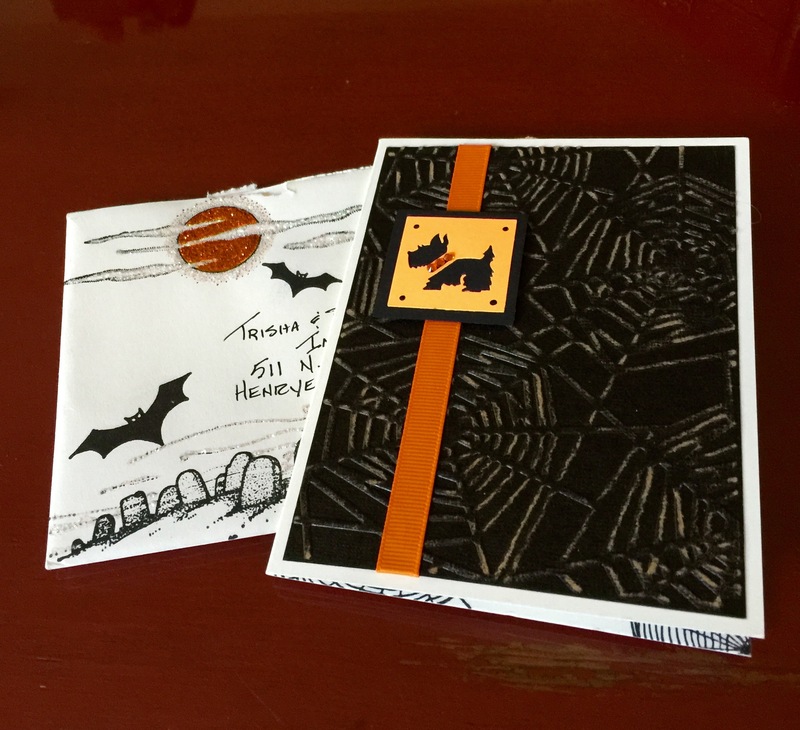 Ohhhh what a fantastic spooky Scottie card. Sometimes Sister acts like a spook. Just sayin. My Sis is awful spoooooky too, Indy! We loves eberting SCOTTIE cuz Scotties RULE! Dat is da cutest card all right! We think its pawsome!! Welcome back home Indy and Lucyand Peeps! You guys had an AMAZING trip and we’re so happy to have been part of it with the fantastic pix you shared! Thank you bunches! Rest up for your next Scottie escapades whether at home or away! (We knows you can habs plenty of adventures right in your own front and back yards and inside your house, too, without eben having to leave da house!) We hope its cool where you live cuz here it’s been over 100 daily for almost 2 months. It goes down to the high 90’s for a coupla days, then jumps back up again to over 3 digits inland where we live. But all of CA has been much, much HOTTER than usual for the past 3 to 4 yrs. It’s 93 here….we want fall back. Hope you cool off too. She is one talented lady. Enjoy!